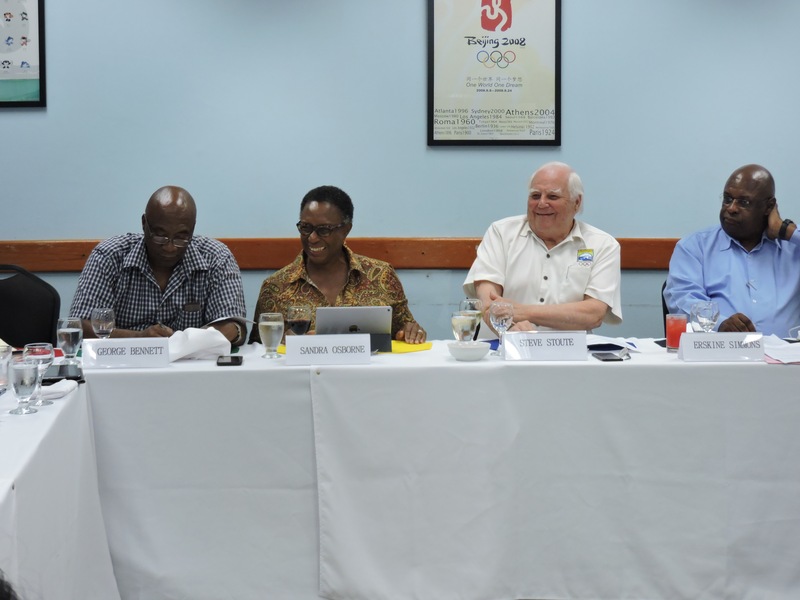 BOA Heads Meets With Federations – Barbados Olympic Association Inc. 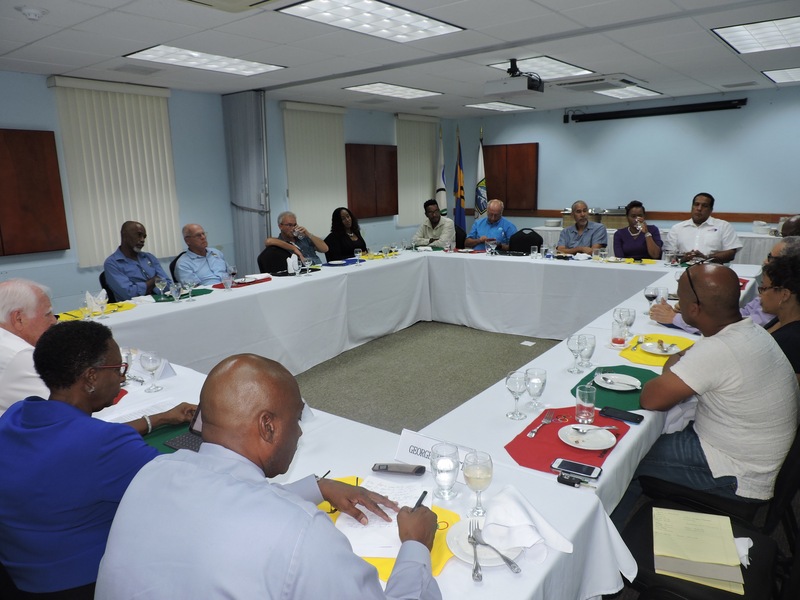 The National Federations of Barbados have once again been given the opportunity to meet and hold talks with the President of the Barbados Olympic Association (BOA) and other members of the executive committee. These lunchtime series with the presidents, vice presidents and secretaries of the various federations are an opportunity for them to network with each other, and discuss the by-laws relating generally to the conduct of the affairs of the BOA, for the betterment of sport within Barbados. Sitting at the head table for the five-part lunchtime series were, George Bennett, member of the Governance Commission; Sandra Osborne, Director, Legal Advisor and member of the Governance Commission; Erskine Simmons, BOA Secretary General; Ralph Johnson, Vice President of the BOA and Steve Stoute, President of the BOA. 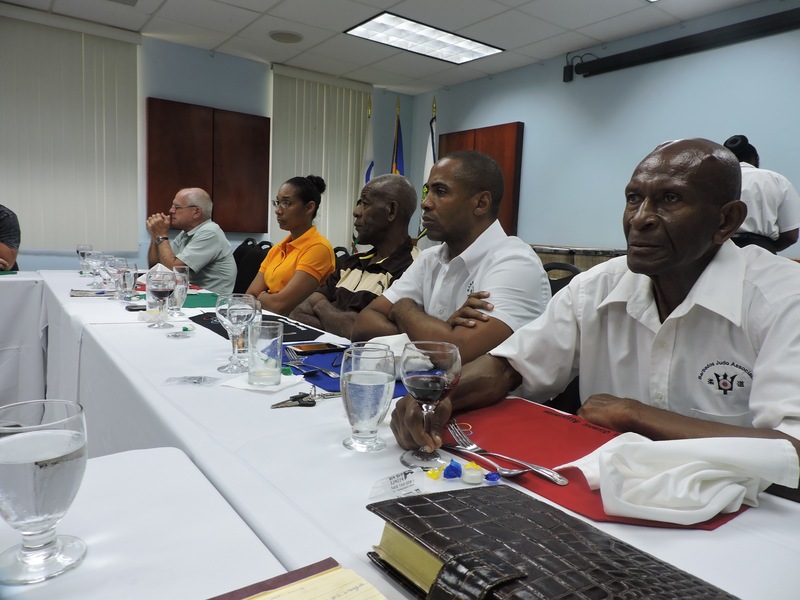 In each meeting the new by-laws and insurance plan were outlined and discussed with the various federations which attended, and President Stoute spoke to the importance of the sessions in helping to chart the way forward for the BOA. “We organize these lunches from time to time for the three F’s – Food, Fellowship, and Feedback. We want to talk specifically on amendments that we are proposing to our by-laws and basically to appeal to all members to attend an extraordinary meeting to consider these changes,” Mr. Stoute stated. The President also reinforced that athletes, who fall under the ambit of the BOA should be insured in the event of accident and or injury, and he appealed to the National Federations to ensure that such occurs. Adding to his comments, Director, Legal Advisor and Member of the Governance Commission Sandra Osborne reminded those gathered that the BOA’s goal is to become the single, collective voice of sport in Barbados. She stated that among their main objectives are to encourage and promote women in sport and ensure equality of participation of men and women, bring together all stakeholders on a regular basis and address specific issues in a timely manner.